Shirley Temple Black (April 23, 1928 – February 10, 2014) was an American actress, singer, dancer, businesswoman, and diplomat who was Hollywood's number one box-office draw as a child actress from 1935 to 1938. 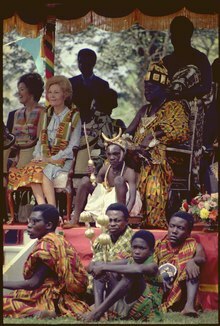 As an adult, she was named United States ambassador to Ghana and to Czechoslovakia, and also served as Chief of Protocol of the United States. 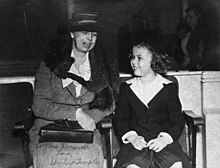 Temple began her film career at the age of three in 1932. Two years later, she achieved international fame in Bright Eyes, a feature film designed specifically for her talents. She received a special Juvenile Academy Award in February 1935 for her outstanding contribution as a juvenile performer in motion pictures during 1934. Film hits such as Curly Top and Heidi followed year after year during the mid-to-late 1930s. Temple capitalized on licensed merchandise that featured her wholesome image; the merchandise included dolls, dishes, and clothing. Her box-office popularity waned as she reached adolescence. She appeared in a few films of varying quality in her mid-to-late teens, and retired from films in 1950 at the age of 22. Temple began her film career at the age of three in 1932. Two years later, she achieved international fame in Bright Eyes, a feature film designed specifically for her talents. She received a special Juvenile Academy Award in February 1935 for her outstanding contribution as a juvenile performer in motion pictures during 1934. Film hits such as Curly Top and Heidi followed year after year during the mid-to-late 1930s. Temple capitalized on licensed merchandise that featured her wholesome image; the merchandise included dolls, dishes, and clothing. Her box-office popularity waned as she reached adolescence. She appeared in a few films of varying quality in her mid-to-late teens, and retired from films in 1950 at the age of 22. 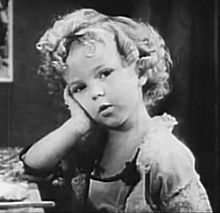 At the height of her popularity, Shirley Temple was often the subject of myths and rumors, with some being propagated by 20th Century Fox/Fox Films. Fox also publicized her as a natural talent with no formal acting or dance training. As a way of explaining how she knew stylized buck-and-wing dancing, she was enrolled for two weeks in the Elisa Ryan School of Dancing. False claims circulated that Temple was not a child, but a 30-year-old dwarf, due in part to her stocky body type. The rumor was so prevalent, especially in Europe, that the Vatican dispatched Father Silvio Massante to investigate whether she was indeed a child. The fact that she never seemed to miss any teeth led some people to conclude that she had all her adult teeth. Temple was actually losing her teeth regularly through her days with 20th Century Fox, most notably during the sidewalk ceremony in front of Grauman's Theatre, where she took off her shoes and placed her bare feet in the cement to take attention away from her face. 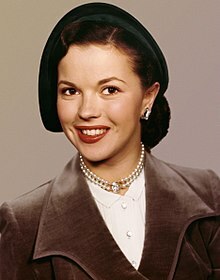 When acting, she wore dental plates and caps to hide the gaps in her teeth. Another rumor said her teeth had been filed to make them appear like baby teeth. At age 44 in 1972, Temple was diagnosed with breast cancer. The tumor was removed and a modified radical mastectomy performed. 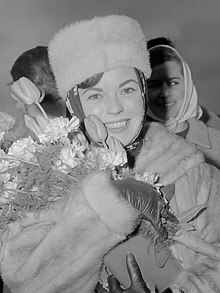 She announced the results of the operation on radio and television and in a February 1973 article for the magazine McCall's. 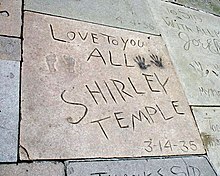 ↑ Shirley and her parents traveled to Washington, D.C. late in 1935 to meet Roosevelt and his wife Eleanor. The presidential couple invited the Temple family to a cook-out at their home, where Eleanor, bending over an outdoor grill, was hit smartly in the rear with a pebble from the slingshot that Shirley carried everywhere in her little lace purse (Edwards 81). ↑ In Dimples, Temple was upstaged for the first time in her film career by Frank Morgan, who played Professor Appleby with such zest as to render the child actress almost the amateur (Windeler 175). 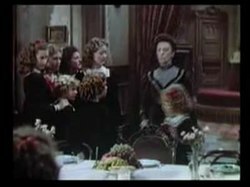 ↑ When she took her first on-screen drink (and spat it out) in Bobby-Soxer, the Women's Christian Temperance Union protested that unthinking teenagers might do the same after seeing the teenage Shirley in the films (Life Staff 140). ↑ A look at the late Shirley Temple's very first home, yahoo.com; retrieved 2016-12-28. ↑ Shirley Temple Black, Child Star: An Autobiography, New York: McGraw-Hill, 1988, 32–36. ↑ "Measuring Worth - Results". measuringworth.com. Retrieved May 10, 2018. ↑ Shirley Temple Black, Child Star: An Autobiography, New York: McGraw-Hill Publishing Company, 1988, pp. 79–83. ↑ Shirley Temple Black, Child Star: An Autobiography, New York: McGraw-Hill Publishing Company, 1988, 130. ↑ Shirley Temple Black, Child Star: An Autobiography, New York: McGraw-Hill Publishing Company, 1988, 192–193. ↑ E. Ray Canterbery and Thomas D. Birch, F. Scott Fitzgerald: Under the Influence, St. Paul, Minn.: Paragon House, 2006, pp. 347–352. 1 2 Lindeman, Edith. "The Real Miss Temple". Richmond Times-Dispatch. Archived from the original on March 7, 2015. Retrieved 15 May 2014. ↑ "In Memoriam: Shirley Temple Black". commonwealthclub.org. Retrieved November 13, 2014. 1 2 Joshua Keating, "Shirley Temple Black's Unlikely Diplomatic Career: Including an Encounter with Frank Zappa", Slate, February 11, 2014. ↑ Craig R. Whitney, "Prague Journal: Shirley Temple Black Unpacks a Bag of Memories", New York Times, September 11, 1989. ↑ "The Lives They Lived: Shirley Temple Black". Breast Cancer Consortium - Archives. 31 December 2014. ↑ "Hollywood star Shirley Temple dies". BBC News. Retrieved February 11, 2014. ↑ "Shirley Temple, former Hollywood child star, dies at 85". Reuters. 2014-02-11. Retrieved February 11, 2014. ↑ Dicker, Chris. Shirley Temple Biography: The 'Perfect Life' of the Child Star Shirley Temple During the Great Depression. Chris Dicker. ↑ "Obituary: Shirley Temple". BBC News. February 11, 2014. Retrieved December 24, 2014. ↑ "History of Past Honorees". The John F. Kennedy Center for the Performing Arts. Archived from the original on January 14, 2015. Retrieved February 12, 2014.